Sharon wears many hats in our office, and is great wearing each! She loves helping our patients feel better about their smile and knows the difference that a boost in self-esteem can have on an individual. Also a people person, Sharon enjoys meeting and getting to know those who are new to the office, as well as catching-up with established patients when they come for a visit. She keeps us all focused on each patient’s experience while here, making sure we have everything needed to make the visit go seamlessly, from a warm welcome on arrival to an easy check-out process and “Have a great day!” as they leave. Sharon is married and has two children. She loves watching her children show their horses and Hereford cows. Passionate about her family, the family dogs, and being outdoors, she is happiest when all three combine on a family outing. 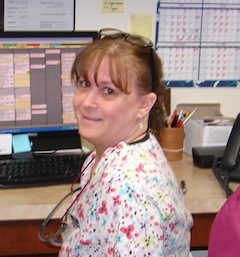 Priscilla says that the favorite part of her day is spending time with her patients and helping them. Not only is she excellent at the technical aspects of her duties, including performing cleanings and taking dental X-rays, but she’s a great listener and loves the opportunity to get to know each person. Priscilla genuinely cares about every patient as an individual and enjoys the conversations, as she develops a strong rapport with them. 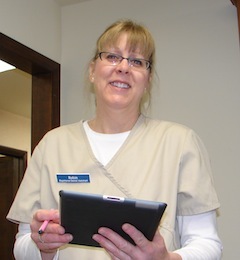 A lot of her work concentrates on patient education, including providing homecare instructions, so a patient learns the best way to keep their oral cavity healthy and clean between visits. Karen loves helping our patients understand why keeping their mouth healthy is so important when it comes to overall body health and wellness. She not only teaches people how to properly care for their teeth and gums, but she helps them learn how to establish good habits and make knowledgeable decisions. She says that, when a patient comes in for a cleaning and she can see that they’ve made positive changes in their routines and that’s evident in their mouth, it’s a great feeling. 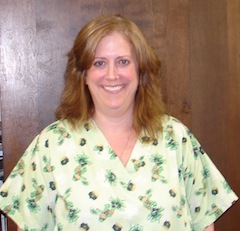 As a hygienist, Karen performs dental cleanings, takes X-rays, and helps out around the office. She’s always smiling and glad to pitch in, no matter what’s needed. As she’s been with us for almost 20 years, she knows most of our patients and loves catching-up on their lives. 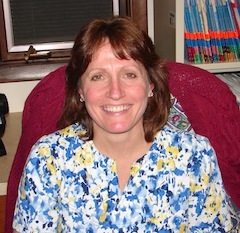 When she’s not here, Karen enjoys spinning, loves to travel, and enjoys meeting new people. She is the proud mother of two adult daughters, and shares her life with two black Labs and two cats. Lisa is always ready to go above and beyond to make sure each person who comes to our practice has a wonderful experience while in our care. She’s great at ensuring patients feel welcome, safe, and comfortable, and has a very reassuring manner about her. Her focus is always on the patient, as she assists Dr. Duddy during procedures. Working chairside, she makes sure our doctor has everything needed, but her attention is trained on the patient, talking with them about what the doctor is doing, updating them on the progress being made, and offering encouragement if the patient is starting to feel a little restless. Away from the office, you’ll most often find Lisa enjoying the outdoors. She is the mother of two adult children and has a young grandson who is the light of her life. Lisa is passionate about her family and spending time with them, including her mother and stepfather, two sisters, brother, many in-laws, and thirteen nieces and nephews! Robin joined our practice in 1980 and is a key part of our team. She loves seeing the physical and emotional transformations that occur in our patients, once treatment is completed. Dental care is a lot more than just cleaning teeth and filling cavities. Here, we really do change the lives of our patients, by healing their dental issues, which means they have a healthier mouth and body, and a more attractive smile, which results in greater self-confidence and enjoyment of life. Robin’s days are spent providing patient care, sitting chairside during procedures, ensuring that the patient is comfortable and relaxed, talking with them and providing encouragement and reassurance. 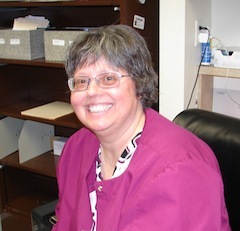 She has a warm smile and is very good at helping a patient feel at home and safe while in our care. Having grown-up in Vernon, NJ, Robin jumped the river about 20 years ago and now calls Pennsylvania her home. She’s studied both art and business and finds that dentistry allows her to use both to make the world better. Robin’s children are all four-legged: black and yellow Labs!